The SR-71 was developed as a long-range strategic reconnaissance aircraft capable of flying at speeds over Mach 3.2 and at 85,000 feet. It was created by Lockheed’s Advanced Development Division, commonly called “Skunk Works”. The SR-71 made its first flight on 22 December 1964 and was delivered to the Air Force in 1968. The SR-71 made its first operational mission on 21 March 1968 over Vietnam. The SR-71 has accumulated many outstanding achievements. 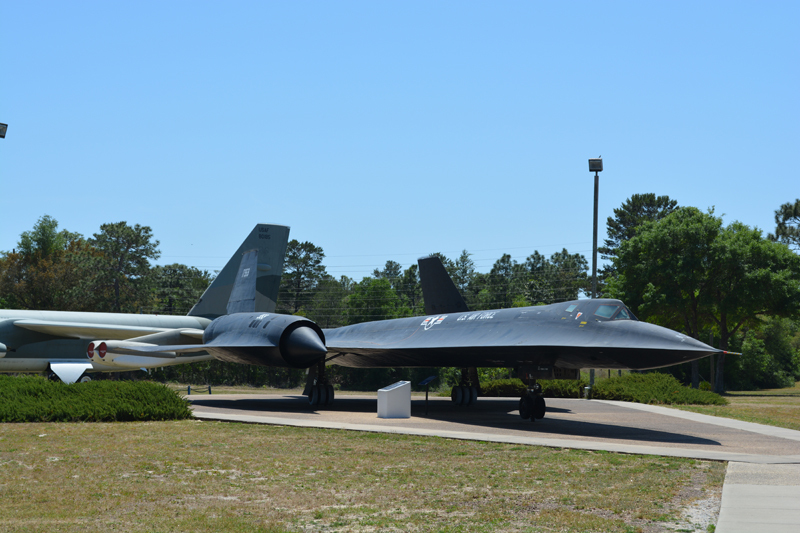 The SR-71 program itself has been a total success based on the fact that the aircraft holds all of the official airspeed and altitude records. On 1 September 1974, an SR-71 set a speed record from New York to London at an average speed of 1,806.964 mph. On 13 September 1974, an SR-71 set a speed record from London to Los Angeles at an average speed of 1,435.587 mph. On 27/28 July 1976, an SR-71 set an Altitude in Horizontal Flight record at 85,068.997 feet. On the same days, an SR-71 set the Speed over a Straight course record of 2,193.167 mph and Speed over a Closed course record of 2,092.294 mph. On 6 March 1990, an SR-71 set a speed record from Los Angeles to Washington D.C. (1,998 miles) in 1 hour - 4 minutes - 19.89 seconds or 2,144.83 mph. This SR-71A S/N 61-7959, also known as “Big Tail”, came off the assembly line like any other SR-71 when it was rolled out on 16 August 1965. But it was chosen as the platform for a new set of sensor equipment to be carried in a nine-foot extension from the rear of the aircraft in 1975. On 3 December 1975, the “Big Tail” flew for the first time. The tests demonstrated that there was little performance loss, but that the new sensor equipment proved of little advantage. The program was dropped, this aircraft was last flown on 29 October 1976 and is the only “Big Tail” in existence.